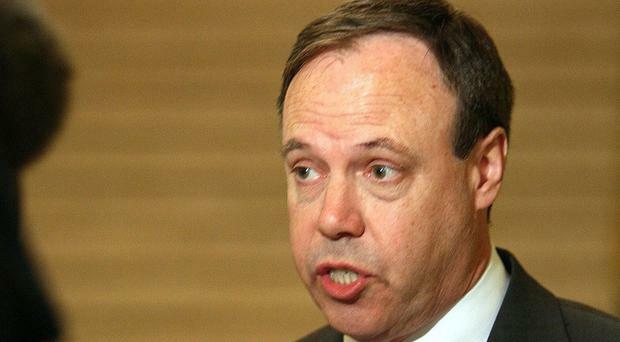 DUP deputy leader Nigel Dodds has called for steps to be taken to end the “wild west culture of anything goes” on some social media platforms. He made the comments during Prime Minister's Questions following the abuse of female politicians across the United Kingdom. DUP leader Arlene Foster and her party colleague Carla Lockhart were targeted by online trolls in a series of vicious attacks over their appearance at the weekend. A number of other Northern Ireland politicians offered the pair their support and spoke out about the abuse they have received online. "There have been a number of examples of the kind of vile online abuse suffered by female politicians over recent days," Mr Dodds said. "In Parliament, the anti-Semitic abuse faced by some MPs was highlighted very movingly during yesterday’s debate whilst cruel and misogynistic abuse has been in focus within Northern Ireland also. "The issue must be tackled head on and steps taken to bring social media platforms to account and end the ‘wild west’ culture of ‘anything goes’." Mr Dodds said the law needed to adapt to changes in techonolgy. "The prime minister rightly recognised the extent of the problem and I am glad there is a focus within government about the issue of liability for these companies," he said. "The methods of communication have changed over recent years and it is vital that the law keeps pace with such developments and people recognise they can and will face sanction for their actions online."